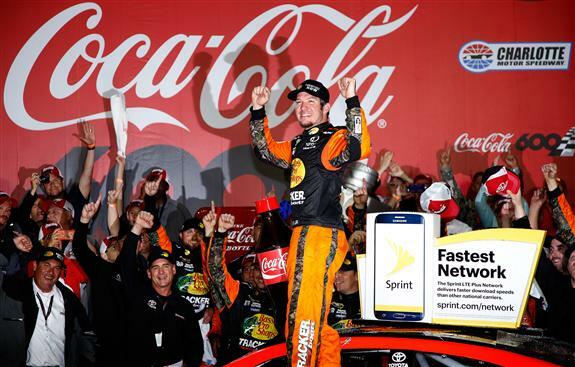 CONCORD, N.C. (May 29, 2016) – How dominant was Martin Truex Jr.’s record-breaking victory in Sunday night’s 57th running of the Coca-Cola 600 at the 1.5-mile Charlotte Motor Speedway? 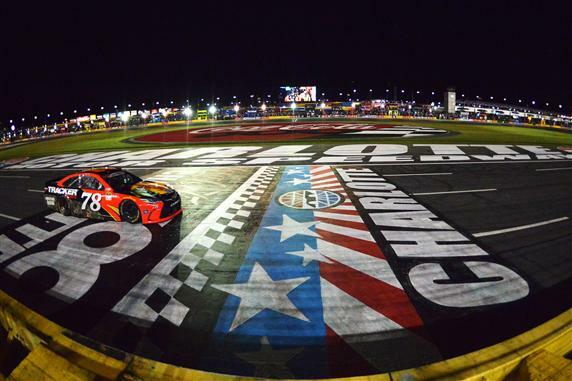 For starters, the Furniture Row Racing driver led 392 of the 400 laps for 588 miles. The 392 laps led is a Coke 600 event record and the 588 miles led is the most in a single race in NASCAR history. On a personal note, after only 13 of 36 races completed, Truex already has set a career high for laps led in a season at 809, surpassing his previous mark of 581 set in 2007. In the last three races, he has led a total of 611 laps. The victory virtually punched Truex’s ticket into the 10-race Chase playoffs, which commences at Chicagoland Speedway on Sept. 18. When Truex’s No. 78 Bass Pro Shops/TRACKER Boats Toyota took the checkered flag, 2.572 seconds ahead of runner-up Kevin Harvick, the 35-year-old driver from Mayetta, N.J. needed some quiet time to reflect on what he just accomplished. “There are so many emotions,” said Truex, who jumped to seventh in driver points. “I had to unplug my radio and just ride around and think for a few minutes, because I didn’t even know what I was going to say or what I was going to do. We’ve been through a lot as a group. I’ve been through a lot personally. I’ve been through a lot with Sherry (Pollex, girlfriend) and it’s fun to have her here and have her celebrate. Truex’s Bass Pro Shops/TRACKER Boats Toyota carried a name of a fallen hero as part of NASCAR’s 600 Miles of Remembrance for the Memorial Day Weekend race. The fallen hero on Truex’s car was U.S. Marine Corps Gunnery Sgt. Jeffrey E. Bohr, who was killed in 2003 during Operation Iraqi Freedom. Truex, who came close to victories this season at Daytona, Texas, Kansas and Dover, was not going to be denied again. His No. 78 Toyota was fast from the get-go. He won the pole on Thursday evening and came back on Saturday to post the fastest speed in the final practice session. Following Truex to the checkered flag in NASCAR’s longest race were: Harvick, Johnson, Denny Hamlin, Brad Keselowski, Kurt Busch, Matt Kenseth, Chase Elliott, Joey Logano and Ryan Newman. The race had four cautions for 19 laps and there were nine lead changes among four drivers. The next race is Sunday June 5 at Pocono (Pa.) Raceway where Truex is the defending champion.